By now, I feel like everyone has heard a ton about this palette and been touched by the hype surrounding it, but I only recently decided to order it and give it a try and I definitely have some feelings on it so I thought that I would do a review for you guys! So, like I said, this was a hugely hyped palette because Carli Bybel has a really successful YouTube channel and a lot of viewers. Admittedly, while I've watched some of her videos, I'm not a subscriber and I'm not all that familiar with her. I decided to pick up this palette because I love a neutral palette and I liked the idea of having shadows and highlights in one palette and I thought I would really like the colour scheme. So how do I feel about it now that I have it? Keep reading for more! This palette includes 14 pans, with 10 being the smaller eyeshadow pans and 4 being larger pans intended to be used for highlights. The shade selection generally runs quite warm and bronzey with a few more rosy shades thrown in, in a mix of matte and shimmer finishes. 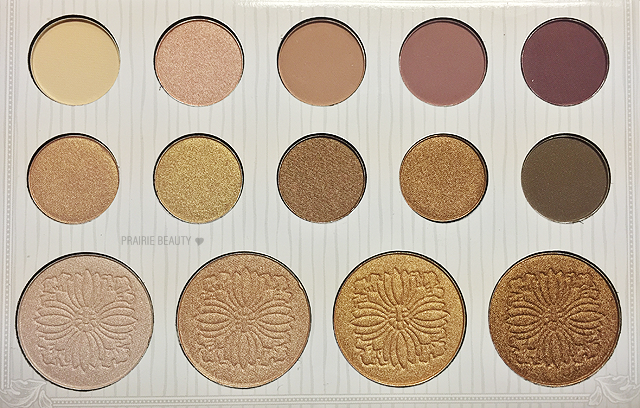 You get a total of 47.6g of product in this palette. 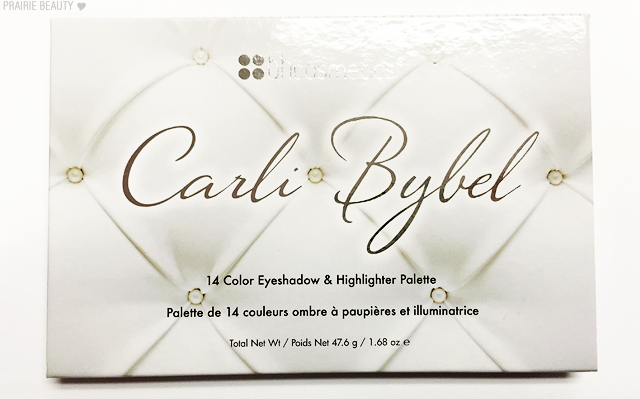 I have to give a huge thumbs up to Carli Bybel and bhCosmetics for the packaging design. I think the all white, grey and silver looks really sleek and beautiful and the packaging feels surprisingly sturdy for cardboard. You do get a mirror in the packaging, but it doesn't stand up on its own - in case that's something that you look for in a palette. I also quite like the size of the palette, because it feels slim and compact even though it isn't small. 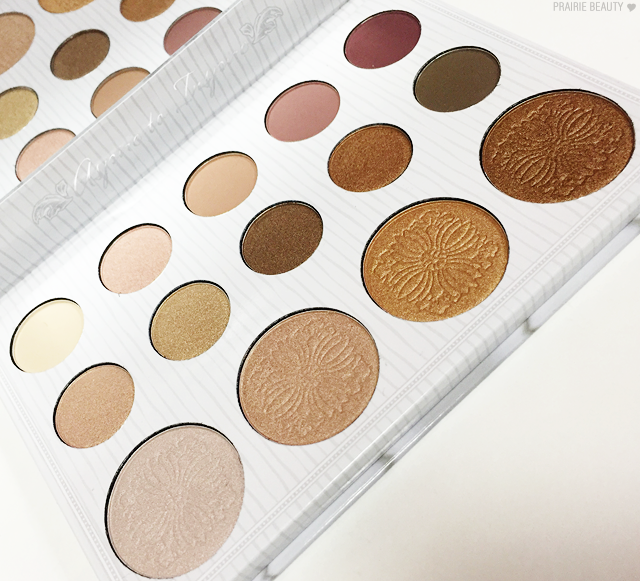 When it comes to the formula of these shadows, I really feel like bhCosmetics has really improved since the last time I bought any of their products. The textures feel significantly more silky to the touch and also in general more blendable. Now, I don't think that these will hold up to higher end shadows, but considering that I paid $12.50US for this palette, I wasn't really expecting that. I am, however, fairly impressed with the quality in general. For me the winners in this palette are the shimmer shades. I think they're more pigmented and rich and they also tend to be the shades that wear the best. The mattes are also quite nice, but I don't find them to be as rich in pigment and even the deeper shades do take some building to get any real depth to them. Like I said above, I think these are good quality shadows in general, but I do think the shimmers perform better than the mattes. I do find that these perform best with primer. Without primer, these applied nicely but did get a little muddy by the end of the day with some creasing. With primer, I got a vibrant look that really lasted through a full day on the eyes and looked very much like it had when first applied after a solid 8 hours of wear. I do have one problem with this palette though, and I think it's one that's been expressed by other people as well, and that's the curation. 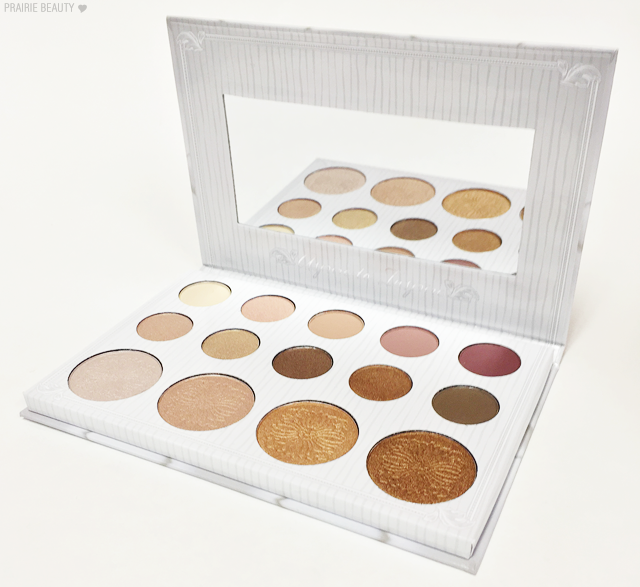 While I like the tones that are included in this palette, I don't like that three of the shades in the larger highlighter pans are incredibly similar to shades in the smaller eyeshadow pans.While not exact dupes, the three deeper shades of highlight have corresponding shades of eyeshadow that perform almost exactly the same on the skin. Personally, I feel like a better curation of this palette, particularly because most people will end up using the highlight shades as eyeshadow, would have done away with those near-duped eyeshadow shades and added a couple of rosier shimmer shades to pair with the rosy mattes as well as a champagne shimmer with a lot of brightness to it. I also find that none of the highlights really work that well for my fair skin. While I could wear the lightest shade as a highlight, it's incredibly pink and I find that those types of shades don't really work for me. Of course, this is all about my preference and I'm sure a lot of people love this curation, but for me it's definitely a little bit lacking. Overall, I think this is a good palette that I will get some use out of, but I was hoping to be a little bit more impressed with it. 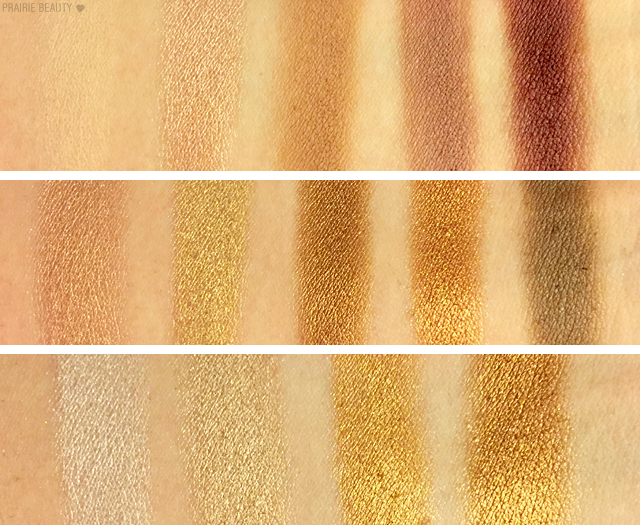 I really do find the similarity of those shades I mentioned above to be fairly inexcusable, because this palette had the potential to be so much more versatile than it is. I don't think it's a bad purchase, especially if you like these metallic bronze, copper and gold shades, and I think women of colour would get a lot of beautiful use out of the highlights. 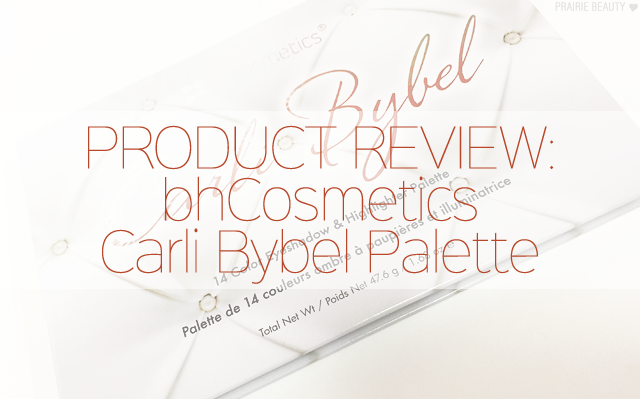 Have you tried out the bhCosmetics Carli Bybel Palette? I'd love to hear your thoughts in the comments! Thanks for reading!